In today’s age many business owners gained a vast knowledge on mobile usage and importance of mobile websites, so they have started to prefer separate “mobile” version (Responsive) design for their website. After smartphones become a never to avoid gadget, internet enabled people to access lot of information on the move. 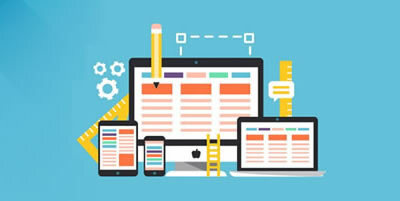 Responsive web design is developing a website that is auto adjustable for multiple devices like pc, laptop, smartphone, or a tablet that portrays the content, menu and images in an easy viewable & user friendly format. Responsive design and development is Google’s recommended approach for mobile web design. Responsive website plays an important role in search rankings, as it gives a good user experience than sites that are not mobile friendly. Now there is a separate Google search algorithm for mobile phones as well, that makes the site rank higher in SERP. If you think search optimization (SEO) is important, then your site good to be responsive. Responsive websites are fast, vibrant, and easy to navigate. Optimizing your site alone is not important, what attracts the user to choose or view the website is crucial, these perspectives makes experience easier and drives more visitors to the website. A Happier user will always make happier business. Responsiveness makes your site size fix to all device like pc, laptop, smartphone or tablet and provides the exact layout with content that meets the users’ needs. So no need to go for different website for mobile and desktop so business owners can gain higher R.O.I with minimal efforts. 80% of mobile users use their smartphones at regular intervals to shop online and 70% of buyers now use Smart phones to shop, book tickets, make payments and other transaction etc… If your service or product not able to view on smart phones or tab definitely then you will miss your order. so responsive design becomes important for online shopping too. Every responsive website regardless of targeted audience it serves, will benefit from a layout that works great across different screen sizes and on various devices. Responsive web design in future will become a major priority on all website projects. To make your website responsive simply Visit http://www.digitalatrium.in/ or Contact us Digital Atrium offers you the Digital emerging solutions.